Halloween was last month but some people haven’t quite got the message. Photojournalist Powarit Katkul has recorded a video in Thailand that he claims shows a ghost perched on a moving car. 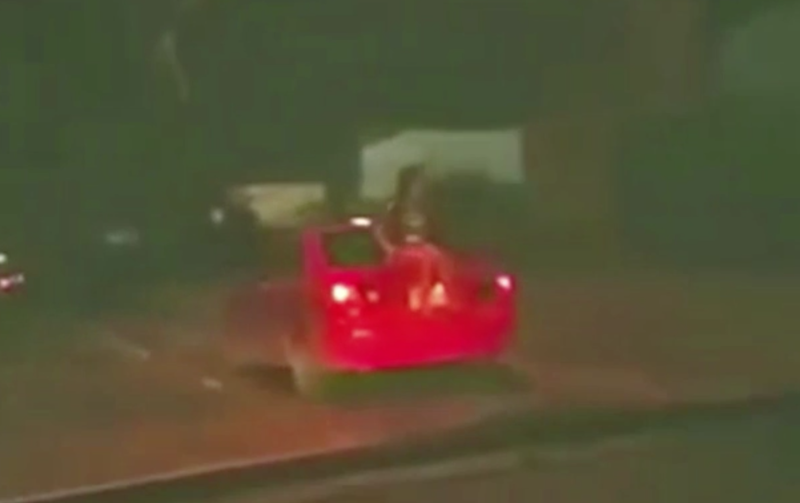 The bizarre footage is of a spectre-like woman with long dark hair wearing a striped top, casually sitting on a car boot as the vehicle speeds along a busy Bangkok road. She doesn’t seem bothered by the precarious situation and remains fairly motionless, only moving to point at Katkul when she spots him filming her. While it’s certainly odd, it can’t be said for sure that it’s a supernatural phenomenon. Maybe the woman was just a bit short on cash and decided to hitch a free ride instead of paying for a taxi. Whatever the truth behind it is, the police have taken an interest. Checking the car’s licence plate, they found it had been cancelled by the Department of Land Transport. It was registered to a brown Opel taxi, but the car in the video is clearly red and doesn’t appear to be a taxi. The Opel owner has been contacted for questioning. Take a look at the spooky video and decide for yourself what’s going on.